Nintendo's final Direct broadcast before E3 was something of a surprise - we knew the Japanese event was happening but the Western Nintendo Direct Micro came out of nowhere. Still, when it delivered so much new-game goodness, it's hard to grumble about being blindsided - even if poor old Tom had to be shackled to his PC writing news just as the UK working day was coming to a close. You've no doubt already poured over our coverage of both Directs so far, but we thought you might like to have all of the related video content in one convient place - so here we are. Below you'll find the relevant clips which show off all the amazing stuff that has been revealed over the past few days. Enjoy. I'm hoping all these announcements mean they've really got a ton of stuff left for E3. Speaking of which, nobody else seemed to notice that previously they've said E3 will focus purely on 2015 games. But in the Micro Direct, Bill said it's focusing on 2015 and early 2016 games, which to me sounds like something has been delayed. Probably Starfox or Devils Third. Or optimistically it means Zelda isn't far behind is coming soon in 2016, but I think a delay to Starfox is more likely. I think they said 2015 would be the focus, but that doesn't exclude 2016 and beyond reveals/ info. I imagine we'll get info on Fire Emblem if, for example. I commented yesterday how that MH village 3DS game looked horrible after playing Splatoon. Well Wii U Project Treasure looks just as bad. I thought it was a really good 3DS game while I was watching it. I know it's free to play but is it even in HD, kind of looks like Soul Caliber Legends on Wii. Thanks for putting the vid compilation together, and thanks to TW, who always seems to be in the wrong time zone, either too early for Japan or too late for US. Really, you guys should just move. Like a few others here, I am surprisingly interested on the upcoming Mario and Sonic game even though I wasn't interested on the previous ones before. @TooManyToasters First Animal Crossing x Mario Kart 8, then Animal Crossing x Fire Emblem. What next? An Animal Crossing focused Zelda U? Still loving the looks of the new fire emblem. 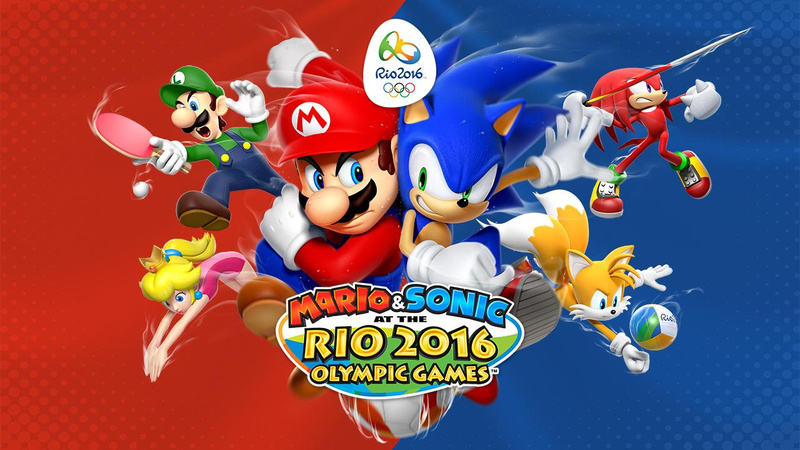 Mario and Sonic look fun - including lots of sports that interest me. I'm curious how that soccer(fußball) game will play. @A01 - When they say 2015 they really mean the fiscal year of 2015. So April 2015 to April 2016. I agree about E3 though - these directs don't cover anything that major, just a few details here & there on some. Rather than waste valuable E3 time they've done a micro direct. Good to have old Knuckles back. Wonder if they will have more amiibo for that game? @sinalefa That would be awesome, as I have a Mario and Sonic amiibo! Wow, on the my castle mode for Fire Emblem. From what I gathered with my limited knowledge of japanese and context it seems to be more involved than just a FE x AC mode. That picture for Mario and Sonic is awesome.